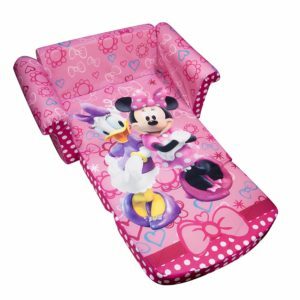 This is a great holiday gift idea for a little one that loves Minnie Mouse! You can get this Children’s 2 in 1 Flip Open Foam Sofa for only $24.49! You will be saving 51% on this purchase because it is normally $49.99! Make sure that you grab this deal soon because the prices can change at anytime on Amazon! CLICK HERE TO ORDER the Children’s 2 in 1 Flip Open Foam Sofa for only $24.49 today!